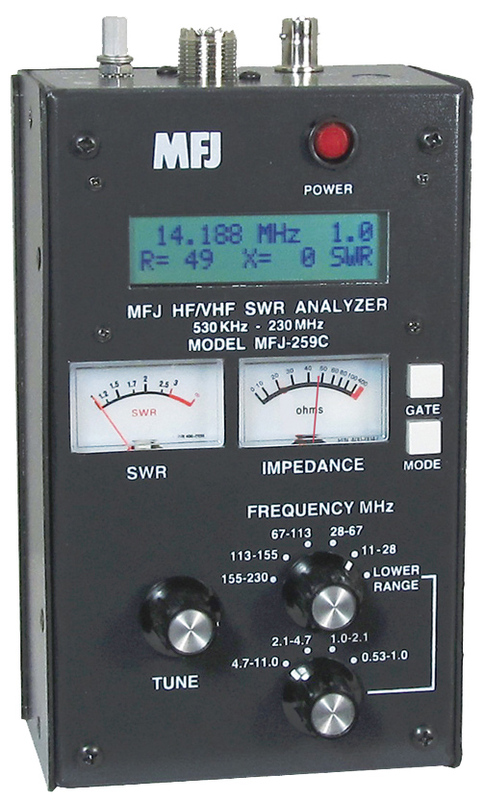 The MFJ-259C SWR analyzer features a built-in 10 digit high-contrast LCD frequency counter. Reading your antennas SWR and finding its resonance has never been easier. All you do is connect your antenna, set your SWR analyzer to the frequency you want and read your SWR. MFJ-259C gives you a complete pictures of your antenna's performance. You can read antenna SWR and Complex Impedance from 530 kHz to 230 MHz. Read Complex Impedance as series resistance and reactance (R+jX) or as magnitude (Z) and phase (degrees). You can determine velocity factor, coax cable loss in dB, length of coax and distance to a short or open in feet. You can read SWR, return loss and reflection coefficient at any frequency simultaneously at a single glance. Also read inductance in UH and capacitance in pF at RF frequencies. The large easy-to-read two line LCD screen and side-by-side meters clearly display your information. The built-in frequency counter, Ni-Cad charger circuit, battery saver, low battery warning and smooth re-duction drive tuning and much more. 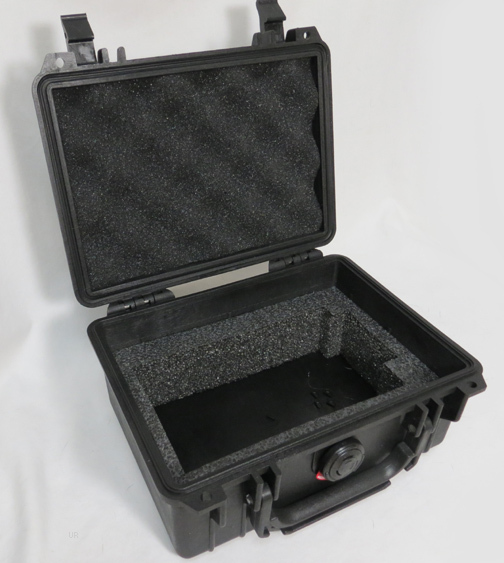 The MFJ-259C is easy to use! Just set the bandswitch and tune the dial -- just like you transceiver. SWR and complex Impedance are displayed instantly! 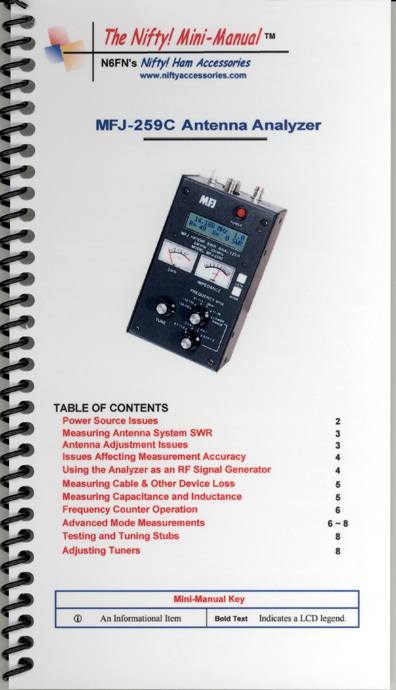 The MFJ-259C is a complete ham radio test station including -- frequency counter, RF signal generator, SWR Analyzer, RF resistance and Reactance Analyzer, Coax Analyzer, Capacitance and Inductance Meter and more! Includes a built-in RF Resistance Meter. 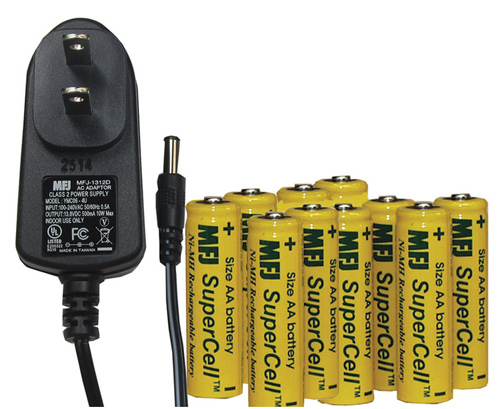 Uses ten AA cells (not supplied) or optional MFJ-1312D. Click here to view larger image.